Traditional, narrow sole, classic shape/profile stands as the finest overall shape and set-up behind the ball in a Wishon Golf original wedge design. 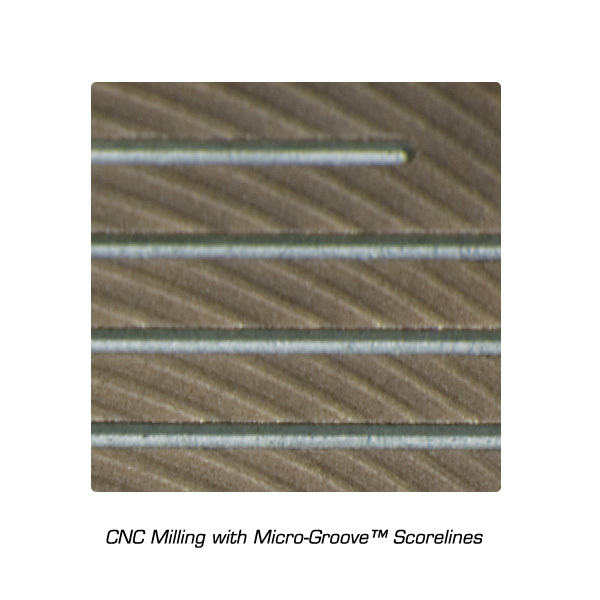 CNC Milled Face combines with Wishon’s unique Micro-Groove™ scorelines to offer the highest level of backspin available in a wedge design. Designed with Wishon Golf’s unique “zero-bounce heel” – all the bounce has been removed from the heel area of the sole to allow golfers to roll the face open without raising the leading edge. A key to playability from thin grass and even hardpan. Numerous wedge fitting options in 52, 56, and 60 degree lofts. A 360º view of the PCF Micro Tour Platinum Wedges. In December I was fitted for a Driver and a set of Irons from 4 Hybrid down to a 60 wedge. Really like the look and the feel of your designs. I have one questions. The club fitter who built my clubs had me pick out the heads except for my 56 and 60. He gave me the PCF Micro Pros. I don’t understand why he didn’t offer up the PCF Micro Tours. Is there a significant difference between the 2 and should I mention it? Thanks very much for the kind words of approval for the new sticks you have. I really do appreciate hearing that and am pleased you like them so far. Of the two wedge models the only real differences are the face profile shape of the two designs and then the sole grind difference. The face profile shape is simply a matter of personal shape preference with the PCF being more of a round profile shape while the HM Series are more of an old classic teardrop profile, as the term is used. For the sole grind, to be totally honest with you, the presence of the multiple levels on the HM Series wedges is not really going to make a whole lot of difference for the play of the wedges through turf or sand. This will sound odd coming from the designer but in truth, most everything that is done with a sole grind shape is cosmetic and really has so very little to do with actual performance. So in terms of performance, you are not missing a thing other than the PCF have a conventional milled face which most certainly will impart more spin than the laser milling on the HM Series wedges. So for a spin enhancement standpoint only, the PCF will spin the ball more for sure so if this is important for you in your play, you are most definitely in the right wedges with the PCF. Thanks again so much and the very best to you in this great game. Tom, 1) Any reason to believe a wedge from Cleveland or other wedge specialists would spin more than one of these wedges (which I own)? Meaning that if I assume good technique your wedges should spin just as much as any other leading wedge? 2) What are your thoughts on Cleveland’s cavity back wedge? Do you think a cavity back wedge would be more forgiving than a traditional wedge? Thanks in advance. There is no secret to what makes a wedge more conducive to generating spin. By far, the main influence on spin from the wedge itself is how rough are the flat areas of the face IN BETWEEN scorelines. The lines themselves have very little to do with spin. Their main role is to try to channel away moisture from blades of grass to reduce the moisture that gets in between the ball and the face. But since grooves are quite small in area they can’t channel away very much of this moisture so 98% of the spin on a shot comes from how rough these flat areas are between the scorelines. So, how do wedge designers make these flat face areas between the grooves more rough? One is the media blasting of the face area, the light grey surface you see on the faces of all irons and wedges. Today the most predominant blasting is done with silicon glass beads. It used to be done with actual sand blasting but most companies began to think that actual sand blasting left the faces looking too dark of a grey color so they all switched to glass beads. Silicon glass bead blasting is not all that rough and it wears off quite fast when you hit shot after shot from a sand bunker. The silicon glass bead blasting used by VOkey or any of the wedge specialty companies is the same as is used by every other golf company, big or small. So there is no advantage there for anyone. Next is to mill the face, Face milling is the number one way to ensure a wedge will spin the ball more because the little milling lines most certainly increase surface roughness a lot. In fact the USGA has a rule limiting the roughness of milling lines to put some control on this. Here again no matter what company, when they make a milled face wedge that is conforming to the face roughness rule, the ball will spin more than with ANY wedge that is only silicon bead blasted without milling. The fact that companies are now coming out with a cavity back wedge is interesting and to me, proof that they are clutching at straws to try to throw new things at golfers to get them to buy new clubs. As you know, cavity back irons do offer good off center hit forgiveness because the deep back cavity allows more weight to be put on the perimeter of the head which in turn increases the MOI of the head. But as loft increases on an iron the ball now compresses less against the face and slides more up the face. This means as you get to the wedge lofts of 50, 55, 60*, there is so very little compressing of the ball into the face that the higher MOI cannot really act to offer very much off center hit forgiveness. In other words, for a high MOI head to offer high forgiveness for an off center hit, the ball has to compress into the face much more. The more the ball compresses into the face, the more the high MOI of a deep cavity back can reduce the twisting of the head from an off center hit and from that comes more off center shot forgiveness. But when the loft is very high as on a wedge, the ball sliding more up the face means the head doesn’t twist that much from the off center hit. So when you have 50-60* loft, there is very little difference in the forgiveness for an off center hit with a cavity back vs a blade muscleback type of wedge head. When you google Wishon design 2018, the PCF micro pro wedges comes up. 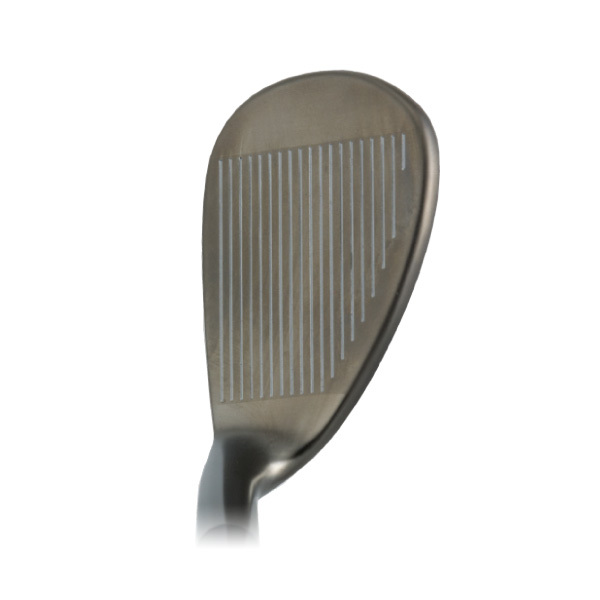 Can you release some information about the score lines and the face treatment and if the wedge has the same front sole knock down grind as the micro-groove HM series? Also, will the new hybrid 318 RS more play like the discontinued 785 HF hybrids? The new PCF Micro Pro wedges are designed with a circular milled face and the Micro-Grooves that I first created several years ago. The circular milling is pretty usual in that many other wedges incorporate this when they do face milling. The Micro-Grooves are something I came up with some time ago to be able to put the edges of 5 grooves on the surface of the ball at impact instead of just 3 grooves in the case of normal scoreline lines. We do that by making the grooves to be 0.6mm wide and 2.0mm spaced apart. Conventional grooves are 0.8mm wide and 2.6mm spaced apart. The rules which state that lines cannot be closer together than 3 times the width of the line so by reducing the line width, that allows us to space them closer together which in turn allows the edges of 5 grooves to be in contact with the ball at impact. For the new 318RS hybrid, this is not in anyway like the 785HF hybrids. The 785’s were made with a high COR face, made from a thin high strength steel alloy. The 318’s are a conventional investment cast 431 stainless so they are a normal COR, but with the additional feature of the twin runners on the sole to help get the ball through taller grass a little easier for shots from the rough. We did the 318’s also to offer clubmakers a less expensive hybrid option. The other hybrid, the 775HS is a more expensive hybrid because it has the high COR face and also has the special bendable hosel.